The crystal-studded glove Michael Jackson wore on stage with the Jacksons on their Victory tour in 1984 sold at auction for $190,000, one year after the pop legend's tragic death. 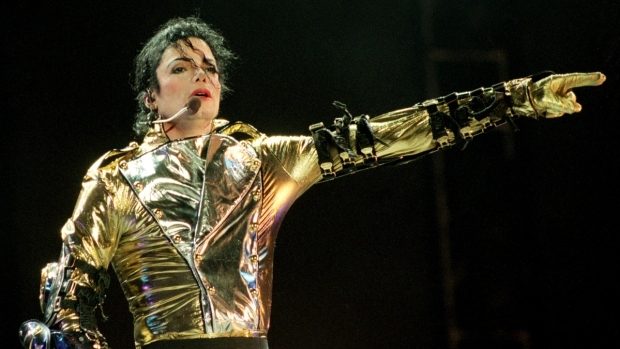 One year after Micheal Jackson's tragic death, fans and collectors from around the world bid on the memorabilia of the pop legend worth nearly $1 million. Jackson's Swarovski-crystal-studded glove worn on his 1984 Victory Tour went for $190,000 at the auction held at Planet Hollywood in Las Vegas. The bidding that began Friday on more than 200 items was "unlike anything we've ever experienced," said Darren Julien of Julien's Auctions. Some items, like the glove, brought 10 times more than their estimated value, he said. The glove had been expected to sell for between $20,000 and $30,000. The $190,000 sale price included the buyer's premium of $30,000, a standard industry fee that goes to the auction house, Julien said. The winning bidder was Wanda Kelley of Los Angeles, who also bought a number of Jackson's albums at the auction, the Las Vegas Sun reported. She said she was prepared to go higher if necessary. "Let's just say I wasn't walking out of here without that glove," she said. A pair of Jackson's stage-worn loafers that were listed as worth $2,000 to $3,000 went for $90,000. The custom jacket that the pop singer was wearing during his interview with Barbara Walters was listed at $6,000 to $8,000. It sold for $120,000. A white Fedora sold for $56,250. One of the last autographs Jackson signed, and dated June 24, 2009, in his handwriting, went for $21,000. "It just shows you Michael Jackson is the most sought after and most collectible celebrity of all time. It was just phenomenal," Julien told the Las Vegas Review-Journal. "People flew in from Asia, Russia, all over. Now that he's gone, we now realize the true legend we lost," said Julien, who has not had a similar auction in his 15 years in the business. He predicted the sales would easily top $1 million by the time the auction wrapped up Sunday.